Parents who want to teach their children to cook healthy meals can start showing them at any age. Mary-Kei Macfarlane and Elisa Galbraith wanted to make it easier by creating an interactive application called The Meal Monsters. By using the application, children learn to make healthy food choices and understand what ingredients get used in their lunch and dinner. 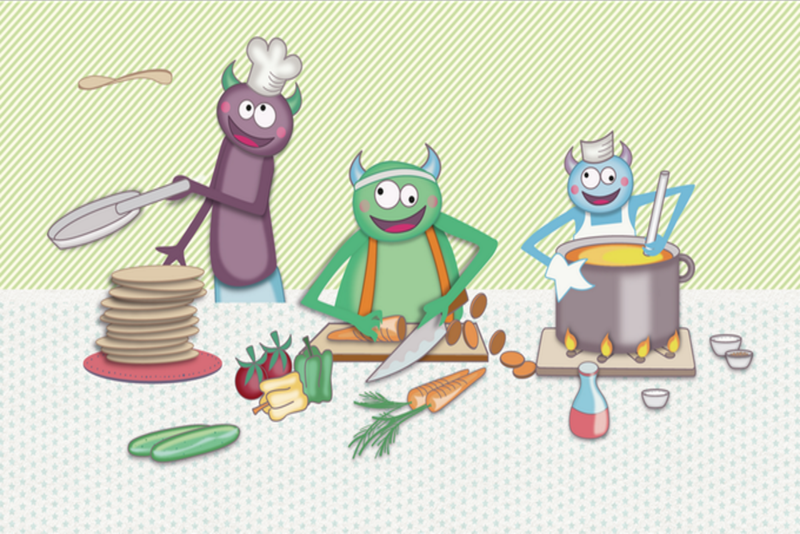 The Meal Monsters application teaches children about healthy eating through creating recipes with their parents, playing games, and storytelling, starring three fictional characters, Sal, Gor, and Pom, from the Planet Yum. These recipes go under different categories, such as breakfast, lunch, dinner, or snacks. Macfarlane and Galbraith created a Kickstarter campaign for application that ends on June 7.